MANILA- "We're just changing battlefields." This is how Magdalo party-list Rep. Gary Alejano described his 2019 Senate bid. "I'm offering myself, I have gone through battles in the past and we're just changing battlefields," he told ANC's "Beyond Politics" on Tuesday. A staunch critic of President Rodrigo Duterte, Alejano is running for senator under the opposition ticket. He explained that the Magdalo party nominated him as their candidate for the 2019 mid-term polls. "I have always been preparing myself to respond to the call of the times," the former mutineer turned lawmaker said. A September 2018 survey of pollster Pulse Asia on voter preference for senator had Alejano lagging in the 44th to 63rd bracket. He said the Magdalo party is currently expanding its alliances in a bid to improve his chances of winning. 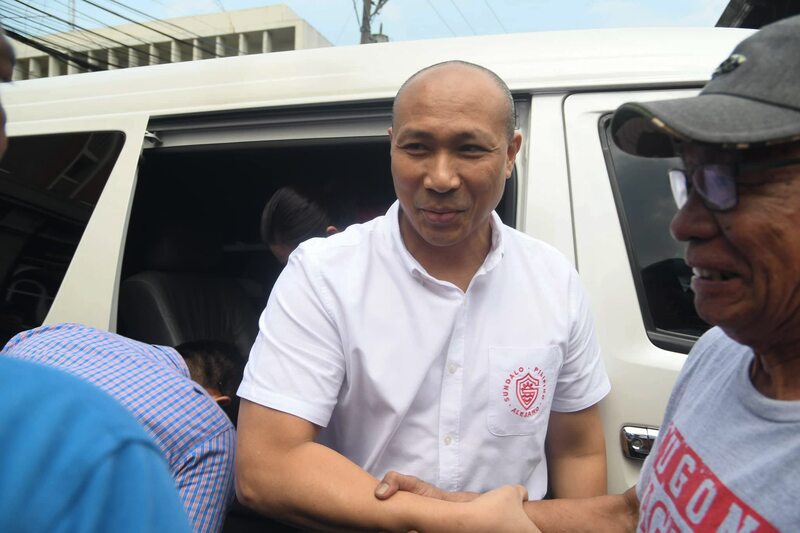 If elected senator next year, Alejano said he would push for a "reliable and capable" defense and security by modernizing the military. He said this can be done by allocating 2 percent of the country's gross domestic product (GDP) to improving the country's defense capabilities. "If you really want to change and reform our country, you should present yourself, present the group and we are willing to do that," Alejano said. "We can always do things that we believe are right," he added.